This late season dessert variety is a Cox/Worcester cross. The fruits are brightly flushed and striped orange-red over a greenish background and have an extremely rich, aromatic flavour. 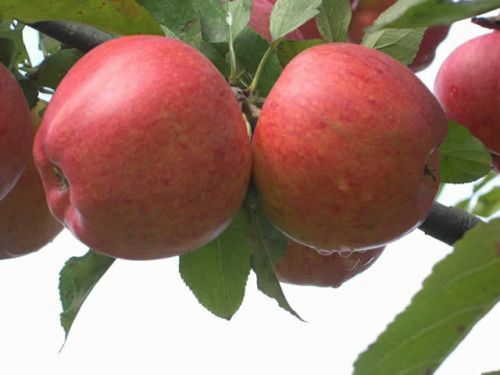 Later in its season the flavour softens becoming more like its Cox parent. The fruits are ready for picking in October and will store at least until February. Suitable pollinators include: Winter Gem, Redsleeves, Red Ellison, Grenadier, James Grieve etc.